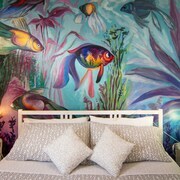 Lovely modern hotel with exceptional service. 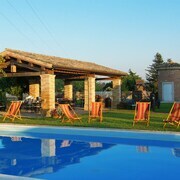 Convenient for Ancona airport and town, both just a few minutes drive away. Close to other restaurants and a Lidl supermarket. Plenty of parking available. Close to train link into Ancona, Bari etc. We had rear facing room which was very quiet, sea views at the front but facing road and train line. Where to find Loreto hotels near an airport? Where can I find hotels in Loreto that are near tourist attractions? 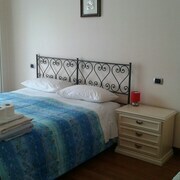 Visitors will find plenty of short- and long-stay accommodation choices in Loreto. Approximately 45 accommodations can be found within a 0.1-kilometre (0.06-mile) radius of Loreto's heart. One of the ingredients to stress-free travel is booking a room that's close to the action, so have a look at the San Francesco Hotel and San Gabriele, all of which are located a short distance of Loreto's city center. You could try the Fortino Napoleonico and the Palazzo Dalla Casapiccola. The Fortino Napoleonico is positioned 14 kilometres (9 miles) from the heart of Loreto. The Palazzo Dalla Casapiccola, is situated 6 kilometres (4 miles) away. 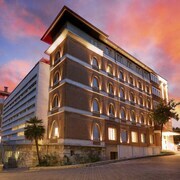 More accommodation options worth checking out around Loreto include the Stella Hotel and the Hotel Monteconero. 45 kilometres (27 miles) from Loreto is Senigallia, where you can spend the day visiting Rotonda a Mare and Palazzo del Duca. 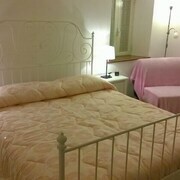 Should you wish to stay in Senigallia, check out the Terrazza Marconi Hotel & Spamarine and Hotel Duchi della Rovere. 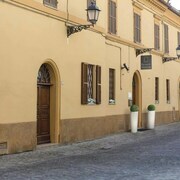 13 kilometres (8 miles) to the west of Loreto, you'll also find Osimo, which is home to the B e B San Valentino and Airone Country House. While visiting Osimo, don't miss the Caves of Osimo and Osimo Civic Museum. Get your sporting fix by taking a visit to Misano World Circuit Marco Simoncelli, which is 95 kilometres (59 miles) to the northwest of Loreto. Sports fans wanting to stay close to the stadium can choose from the Hotel Ines or the Hotel Caravelle. Looking for the most practical airport for your stay in Loreto? Falconara Airport is 30 kilometres (17 miles) away. 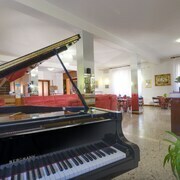 What are the most popular Loreto hotels? The Olive Trees Between the Green Hills and the sea ..
Are there hotels in other cities near Loreto? What other types of accommodations are available in Loreto? Explore Loreto with Expedia.ca’s Travel Guides to find the best flights, cars, holiday packages and more!